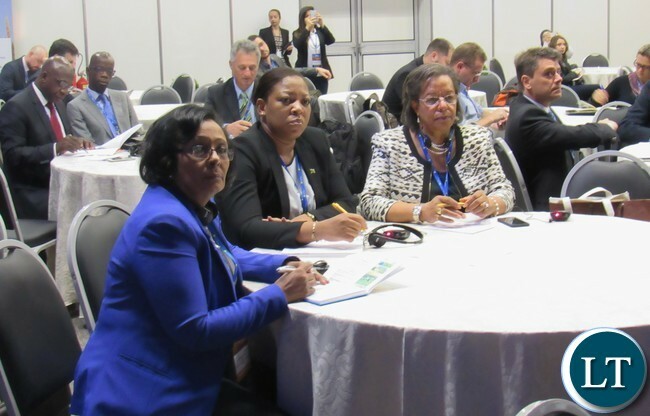 The Brazil Agricultural Research Corporation (EMBRAPA) has called for enhanced scientific corporation with African countries to achieve enhanced Agricultural productivity. 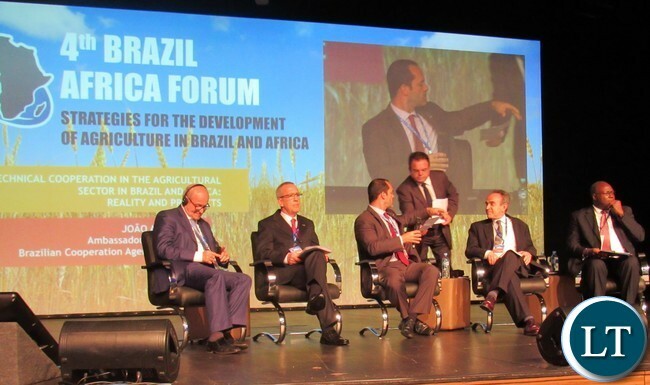 Speaking during the 4th Brazil Africa Forum, aimed at encouraging broad debate on opportunities of the Agricultural sector in Brazil and Africa, in Foz Do Iguacu, Brazil, Head of International Relations at EMBRAPA Mr. Mario Seixas said technical cooperation was key but not important in achieving increased productivity, hence the need to enhance scientific cooperation with the African countries. He said EMBRAPA had operations in the United States, Europe, Asia and Africa, with scientific connections forged with developed countries and others on technical cooperation, a situation he said must change. 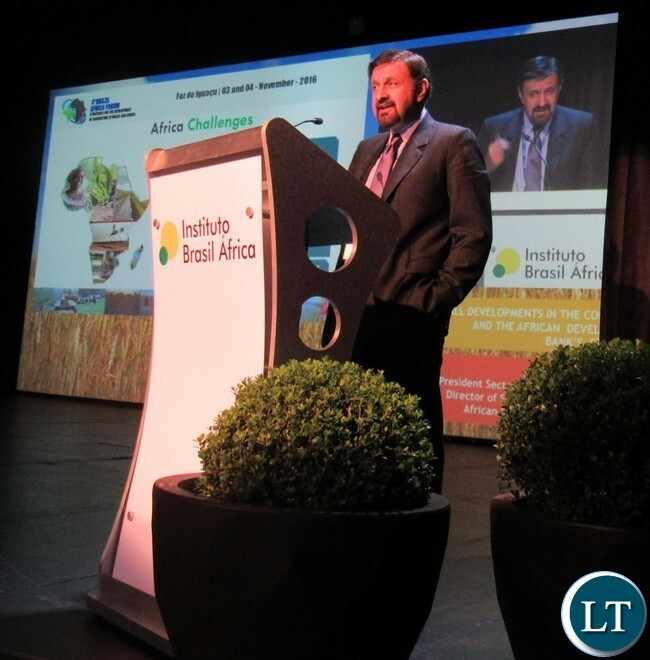 Mr. Seixas said before 1970 Brazil was not a food secure country, but in 43 years the country had become one of the largest Agriculture producers in the world, by developing a science based Agriculture model aided by government commitment. He said this had resulted in the creation of 70 Agricultural universities and 48 national agriculture research centers, with the acquisition of key Japanese technological know-how. He said the institution has 9843 employees, 2415 scientists, and researchers with PHD/DSC 2182. EMBRAPA is a state-owned research corporation under the Ministry of Agriculture, and has since its inception in 1973 devoted to developing technologies, knowledge and technical scientific information aimed at Brazilian Agriculture. And Development Bank of Africa (AfDB) President Mr. Akinwumi Adesina said one of the Bank’s key priority areas is to support Agriculture so that the Continent could become a key global player, saying Africans should start looking at Agriculture as a business as opposed to a way of life. He also said that Africa needed to develop its infrastructure and push for regional integration in order to move beyond the 15 percent intra-Continental trade. AfDB Vice-President Kapil Kapoor said AfDB was focused on adding an additional 160 gigawatts to the electricity grid by 2025, which would require $60 billion every year, although the Continent was only providing half the amount, hence the need for the private sector participation. 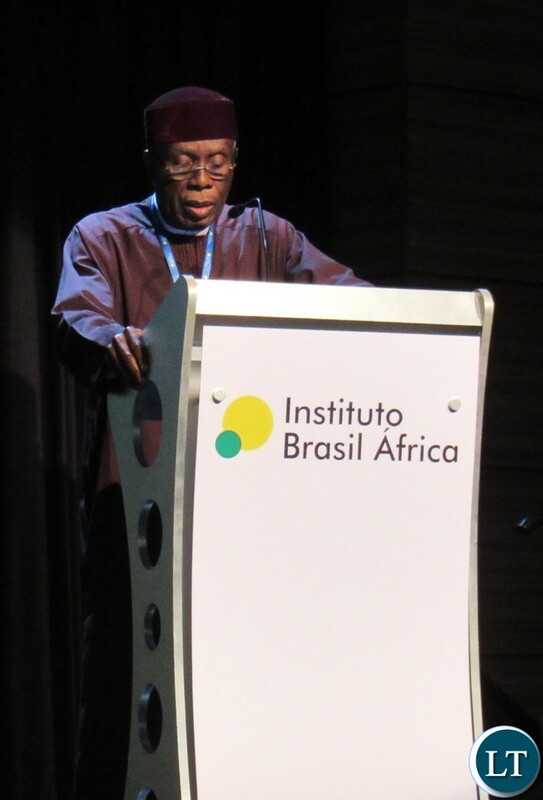 Nigeria’s minister for Agriculture and Rural Development chief Audu Ogbeh said since the structural adjustment programme that was forced on most African countries in the 1980s, interest rates on the Continent had remained high, but that Nigeria was reforming the Bank of Agriculture in order to keep interest rates at five percent despite the criticism. “In Kenya Parliament imposed a ceiling of below 14 percent interest rates, despite protests the Parliament is still there,” said chief Ogbeh. Where’s that yawn when you need it! The minister of Education should quickly revisit the MOU signed between some churches and govt. What is it that churches are contributing to schools for them to claim that they run school apart from churches getting 30% of whatever money the school receives. If government sends grant to schools churches will get 30% if pupils pay school fees churches will get 30%. This move is making school fees in mission schools to be high.Missionaries built their own schools and paid their teachers. Headlines or articles like this above, are like salt to snails with cadres as evidenced by the comments posted…anything that requires using the brain they keep away unless its about their useless leaders in Opposition or Ruling parties. Well stated jay jay. I also do not see them on important topics. Work on your ability to respect others. The South Versus the North is an agenda that is long overdue. The South needs the South. The North has always courted the North. European Scientists flock to America and Canada. The North Atlantic Treaty Organization (NATO) is more than military and space exploration. It’s agriculture and economic prosperity shared by the North. The South only gets the crumbs which fall from the table. That’s how it has always been. Who knows even where our Nakambala Sugar goes? Our ignorance is a crime against humanity, committed against our own people, against ourselves. If the on-going contest between the West and the East, is anything to go by, then indeed Brazil has a point. Not until recently, the West was all there was. That has since changed. Today, China and India are a combined force, challenging the West’s economic supremacy. The East us now a force to reckon with. We now talk about Dubai and Singapore etc.. Recently, we saw the Philippines switching sides. It was for a valid reason. It was a smart move. Time and again, we have been reminded of the ugly reality of how the West engages in economic sabotage as a weapon for attaining political supremacy. It’s what Zambia had to go through, when it was a Front-line State fighting against White Regimes in Rhodesia, Mozambique, South Africa, South-West Africa and Angola. It’s what Zimbabwe is currently going through merely for coughing about the land issue. It’s what Cuba and Haiti have had to endure over the years of degradation. Most recently, we have seen Venezuela and Libya on the precipice. The question is whether we learn, whether we see?? PLEASE SUPPORT AGRICULTURE IF YOU WANT ZAMBIA TO DEVELOP. EVERYONE WANTS TO EAT IN THIS WORLD AND WE HAVE A LOT OF COUNTRIES THAT ARE NOT ABLE TO PRODUCE THEIR FOOD DUE TO WARS OR ADVERSE WEATHER CONDITIONS AND WE CAN SUPPLY THEM. WHAT IS WRONG WITH ZAMBIAN POLITICIANS.